Site clearance, levelling and landscaping, ground reductions and trenching. 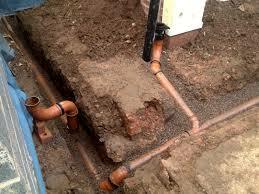 Excavations below ground for foundations, swimming pools, drainage, pump stations and laying of utility services. Working in partnership with Oasis Swimming Pools (Kent) Ltd to provide a complete service from design and pool construction, to landscaping of pool surround. 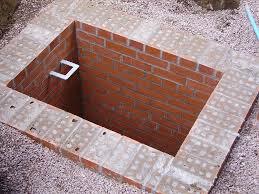 Brickwork and blockwork below ground including manholes and inspection chambers, access chambers and substructures. Complete service for substructures of buildings from excavation of foundations to brick and blockwork up to damp proof course. Supply and installation of purpose made cesspools, septic tanks and water treatment plants including sizing to match your needs, percolation testing and connection to land drains all as required by the Environment Agency. Pump stations to lift deep drainage to facilitate connection to existing or new gravity drains for disposal. On-Site formation and reinforcement of formed concrete structures such as raft foundations, swimming pools and basements. Formation of drives, paths and patios in a wide range of materials to meet clients requirements. From excavation and clearance of material to finished block paved parking area, drive or path etc.Top class finish using high-quality material to avoid settlement. Repair, replacement of new drives or paths. If you would like to find out more about our Civil Engineering and Groundworks Services please get in touch, call us on 01304 611 967, or request a ringback by filling in the form below, and we will get back to you to discuss your requirements.